F&W editors share their favorite Champagnes and Champagne cocktails. 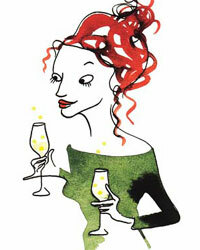 Plus: Award-winning author and wine connoisseur Mark Oldman suggests exceptional sparkling wines to try. Oudinot is what's known as a "grower Champagne"—whereas most Champagnes are produced by large companies that source most of their grapes from hundreds of independent growers, Oudinot is a single small estate. A floral scent and creamy, peachy flavors define this Brut. Gosset, a small but very high-quality producer, was founded in the town of Aÿ in 1584. Unlike most other Champagnes, Gosset's wines—like this citrusy Brut—do not undergo malolactic fermentation (a kind of secondary fermentation that helps soften the wine), making them bright and remarkably zesty. The Deutz style is delicate and aromatically complex, as in this subtle, blossom-scented bottling. It's blended from equal parts Chardonnay, Pinot Noir and Pinot Meunier, largely sourced from the Marne subregion. Bollinger, which owns an unusually high percentage of estate vineyards for a Champagne house (about 60% of its production) is known for its full-bodied density of flavor. This biscuity, luscious bottling is a great example of the Bollinger style. Taittinger's Prelude, an equal blend of Chardonnay and Pinto Noir, is sourced only from grand cru villages, making its price a bit higher but adding finesse to its peach-and-orange-inflected flavors. It's luxuriously creamy at first, and finishes with mouthwatering acidity. From Champagne profiles to a social and cultural history of Champagne, these five books are Executive Wine Editor Lettie Teague's favorite on Champagne. 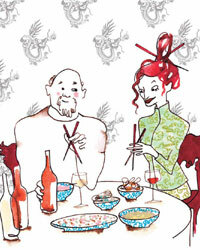 You don't have to drink beer with Chinese food—not when it pairs so well with everything from Pinot Noir to Champagne. Grape growers in France are making Champagnes with big personalities—and challenging the grandes marques.